"Ivor who?" 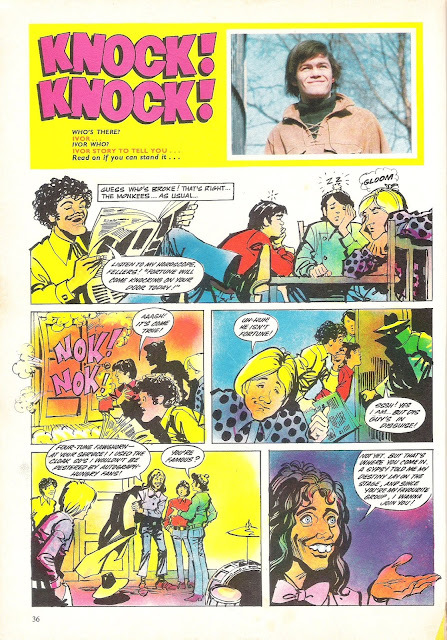 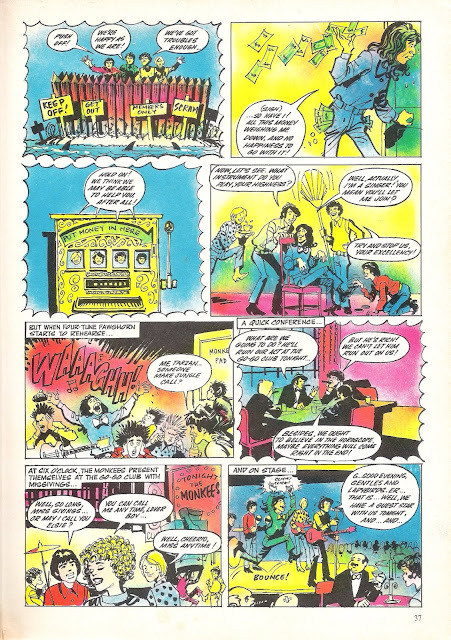 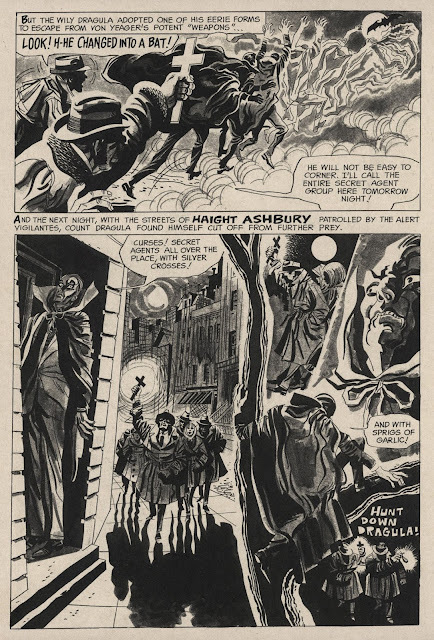 Yep, it's from one of those British Annuals. 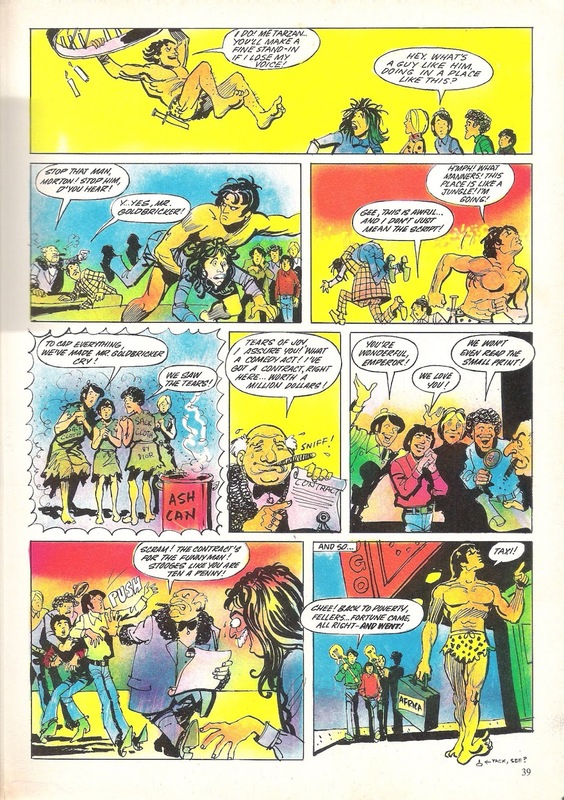 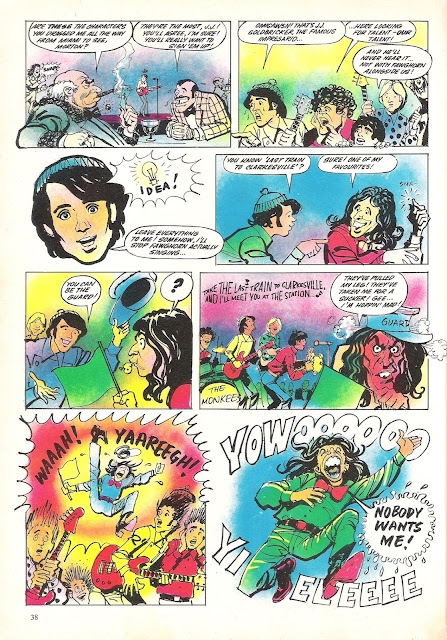 Interesting to note the almost appropriate appearance of Tarzan with...the Monkees. 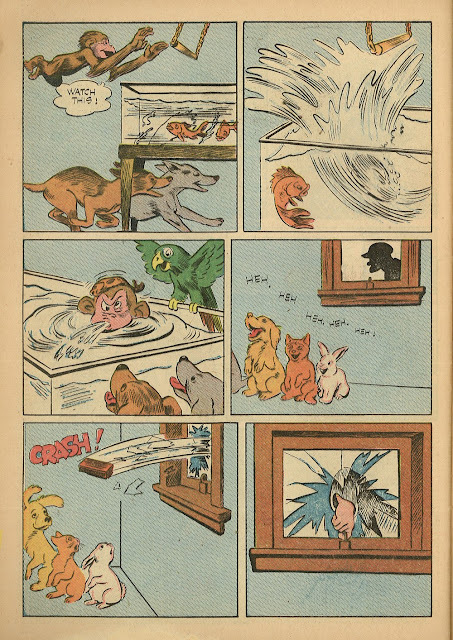 I love the expressions on the characters in this one. 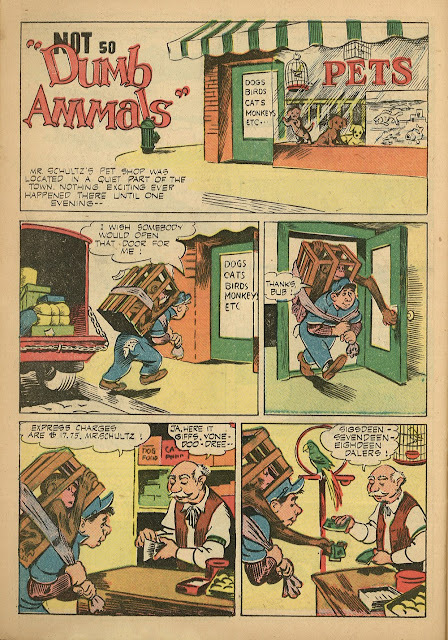 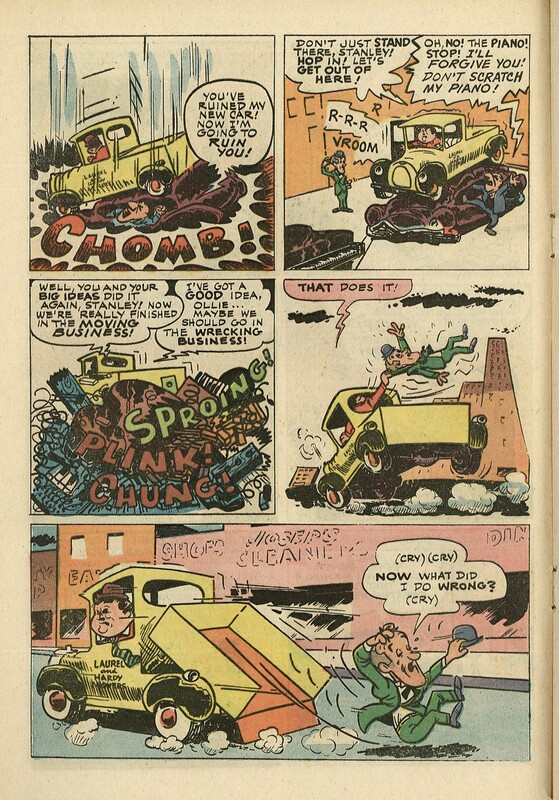 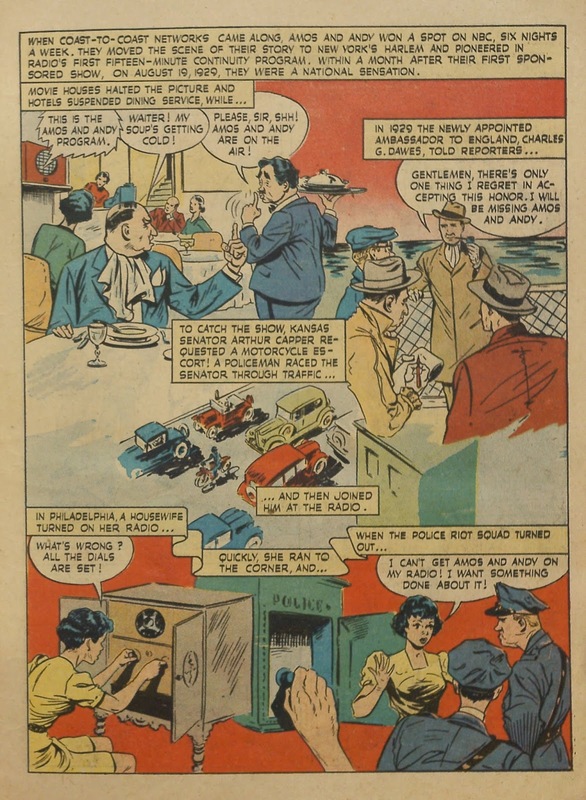 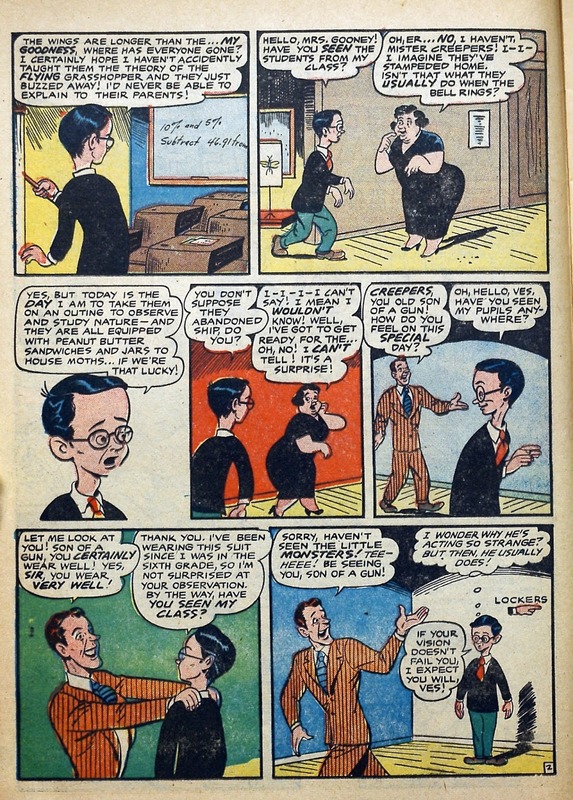 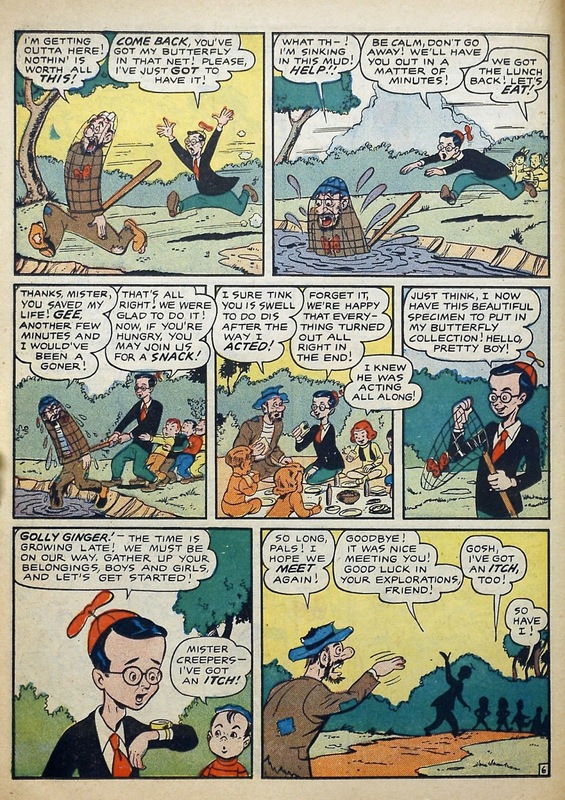 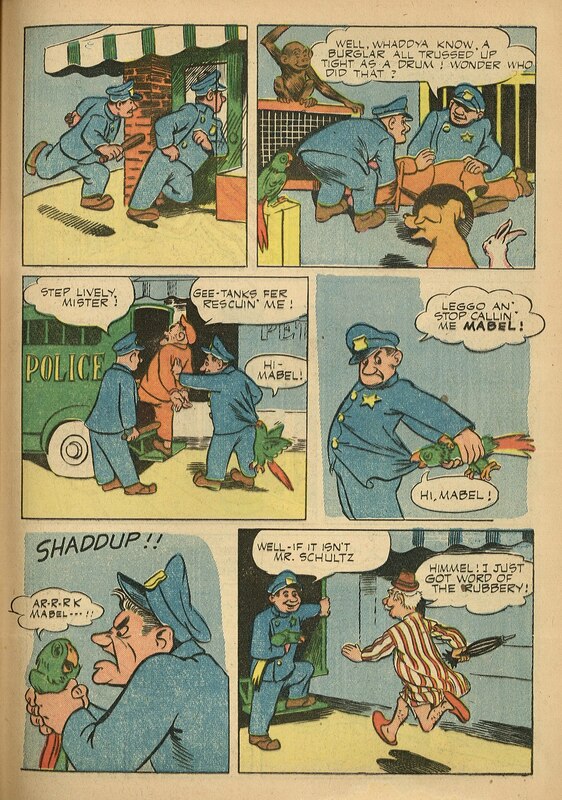 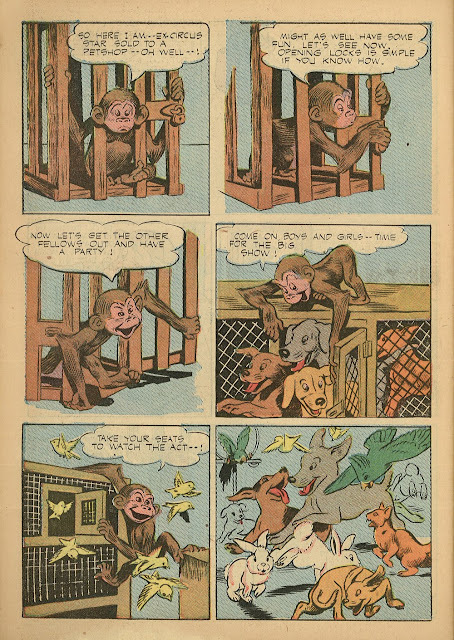 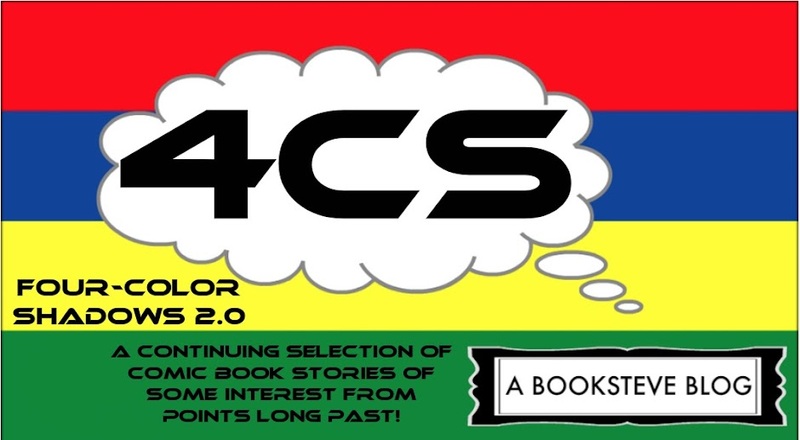 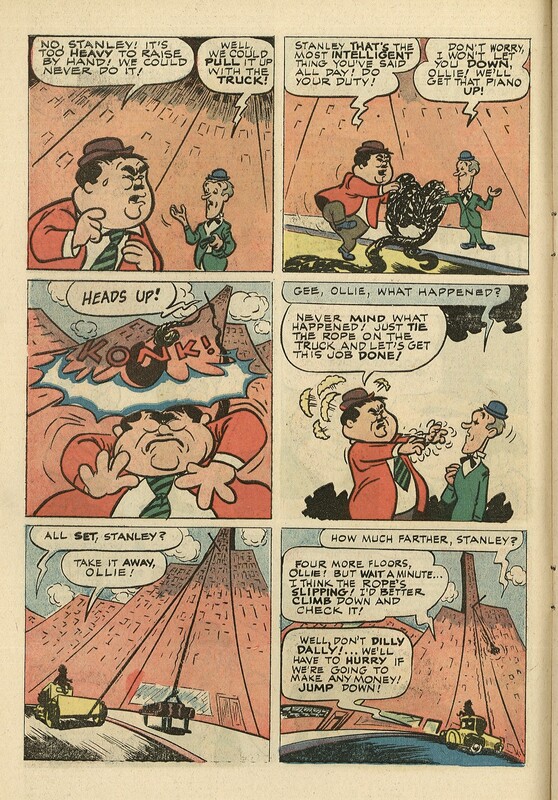 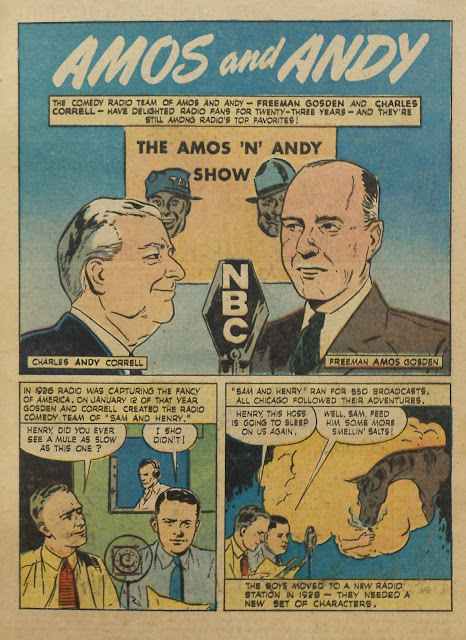 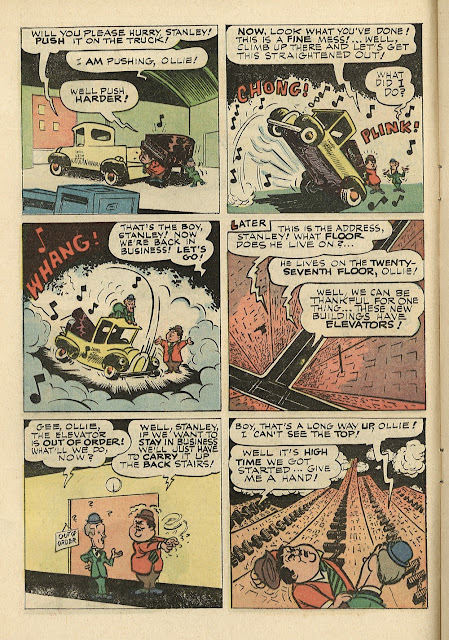 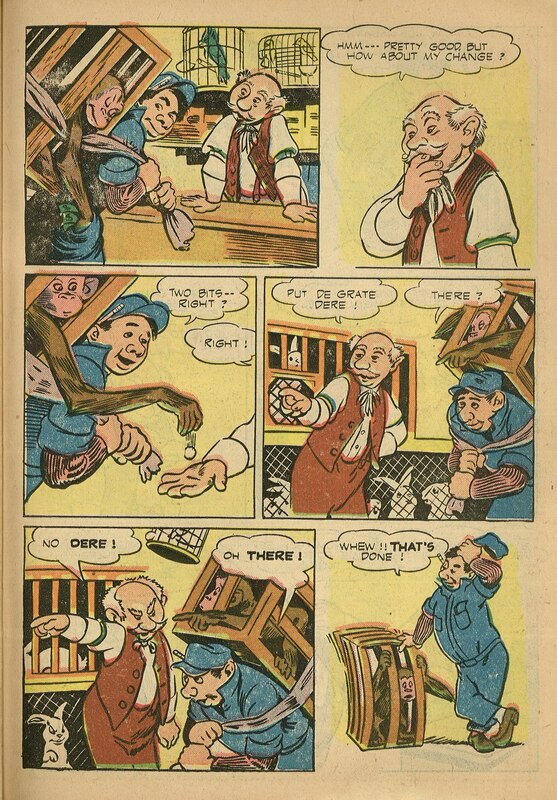 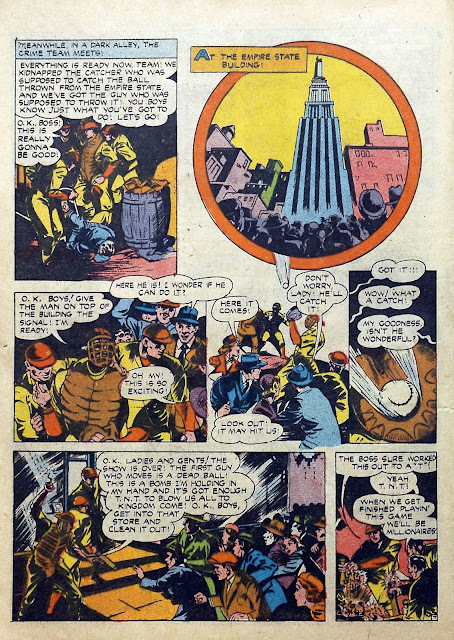 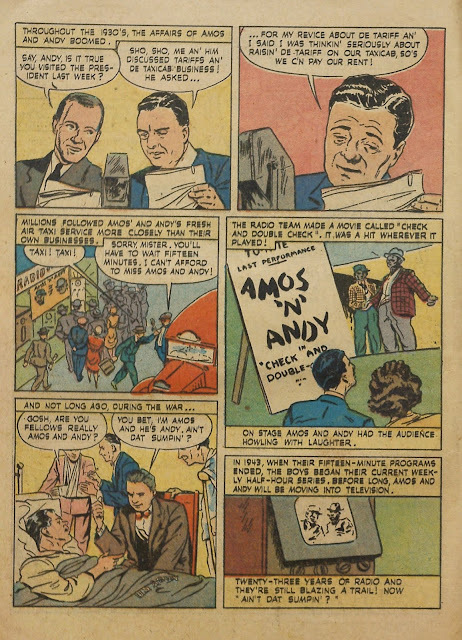 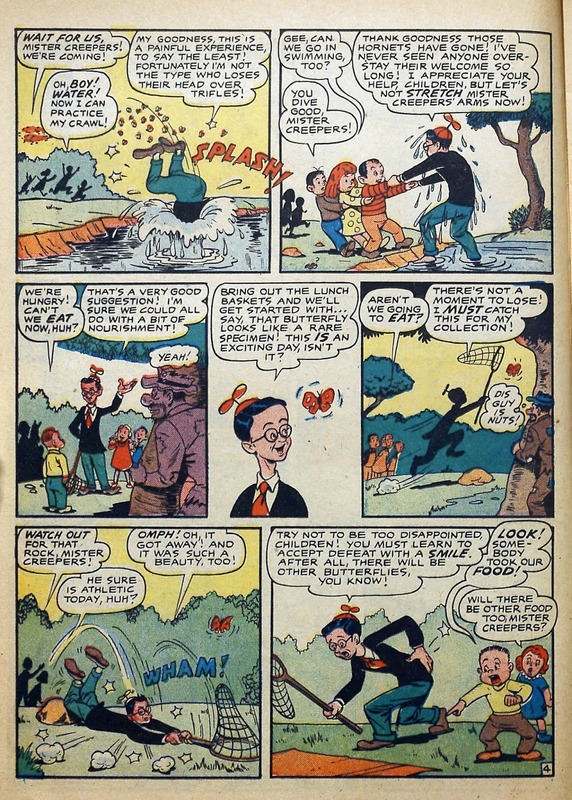 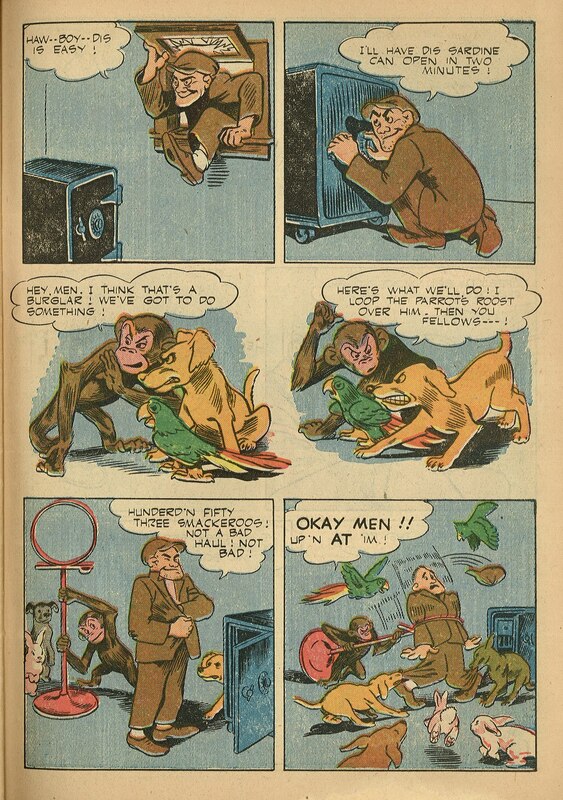 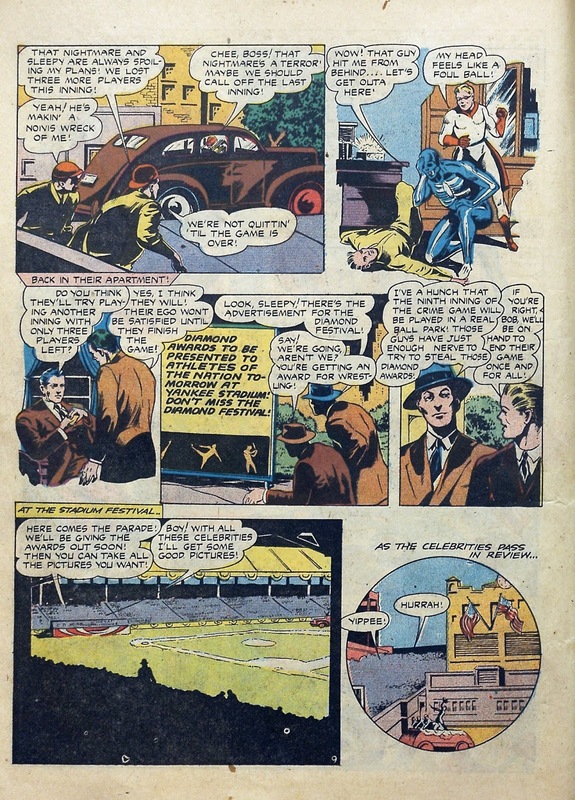 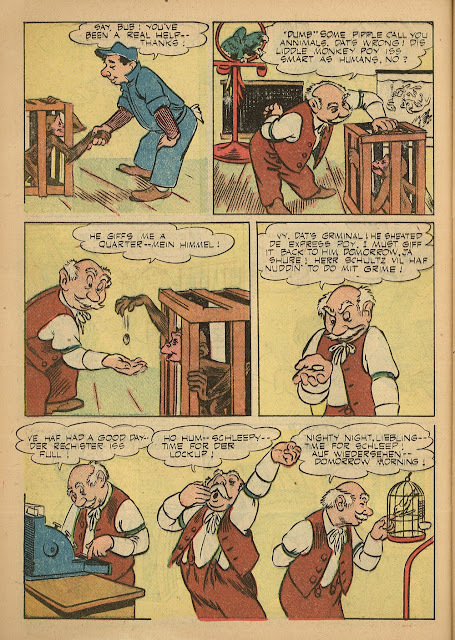 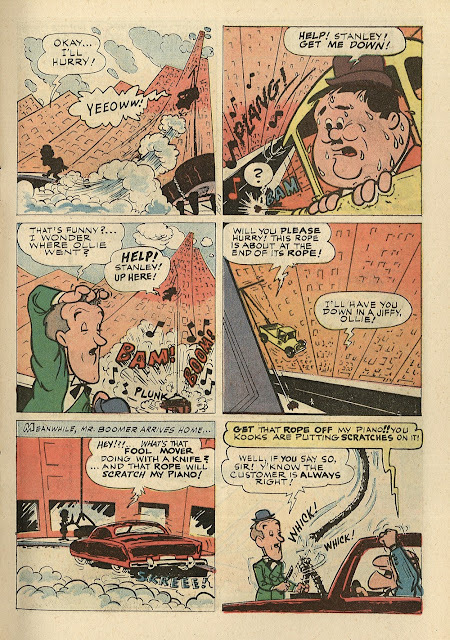 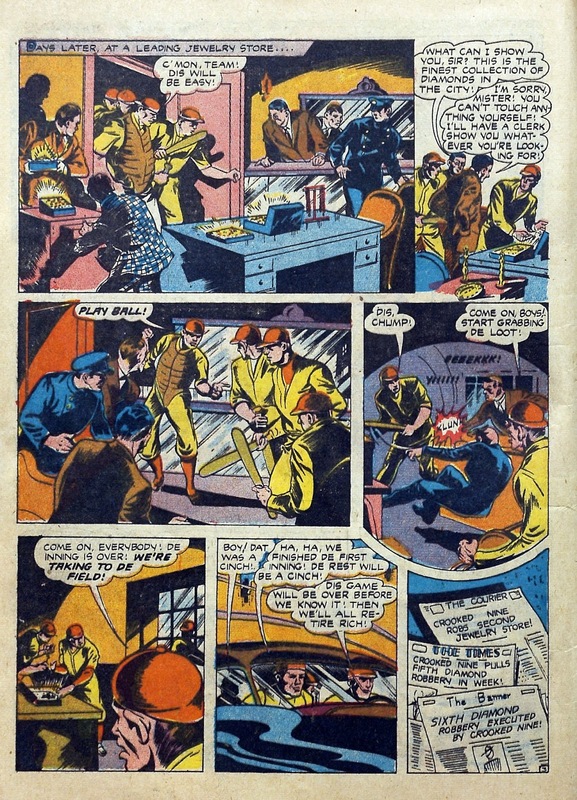 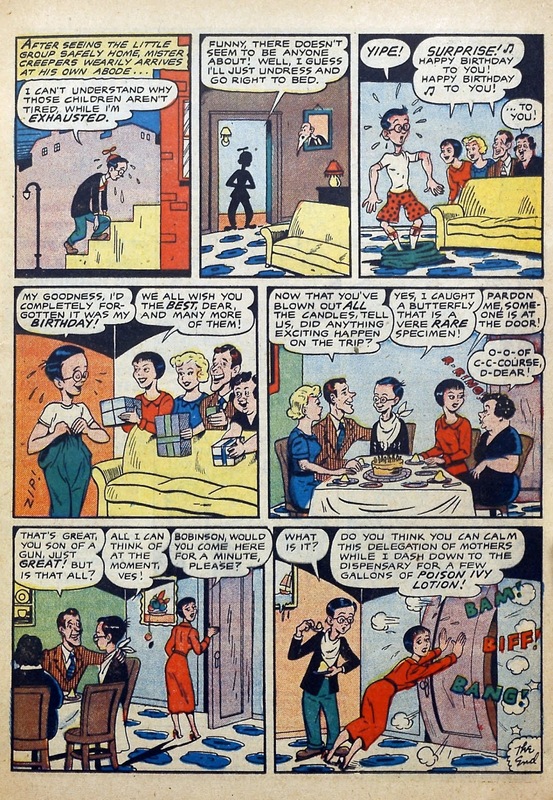 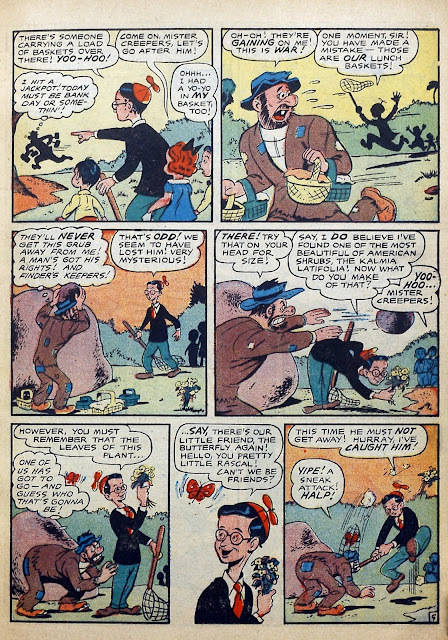 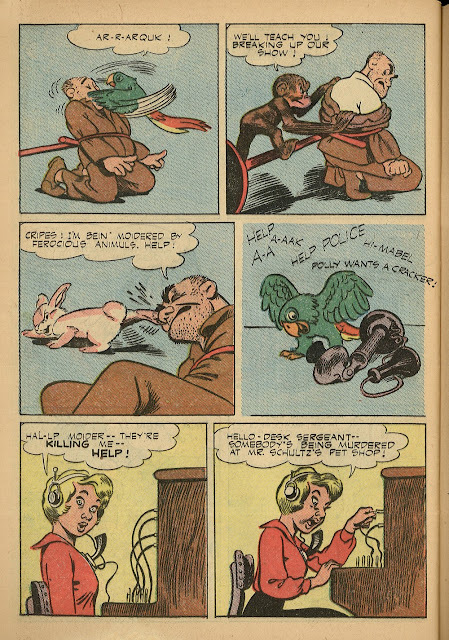 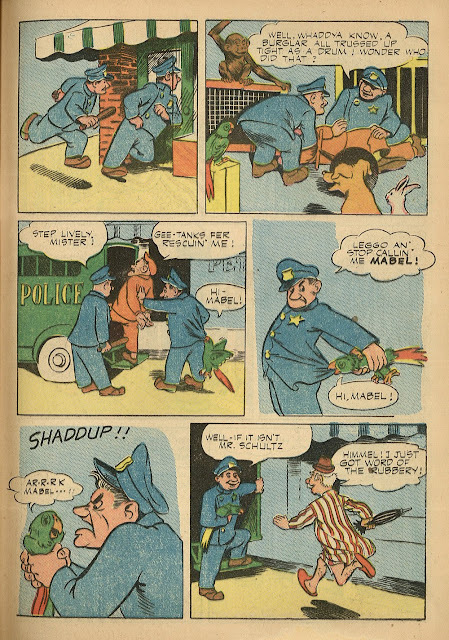 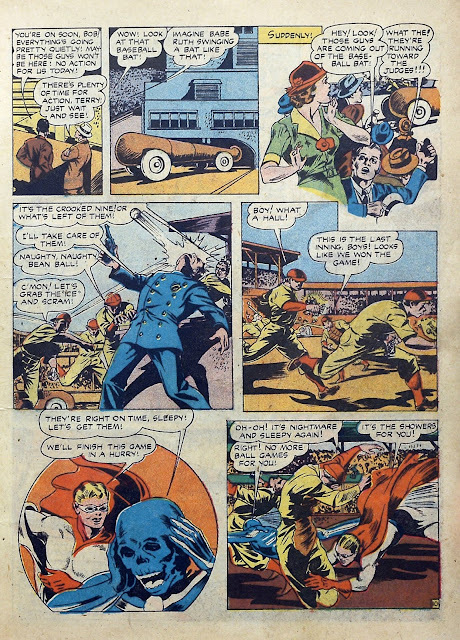 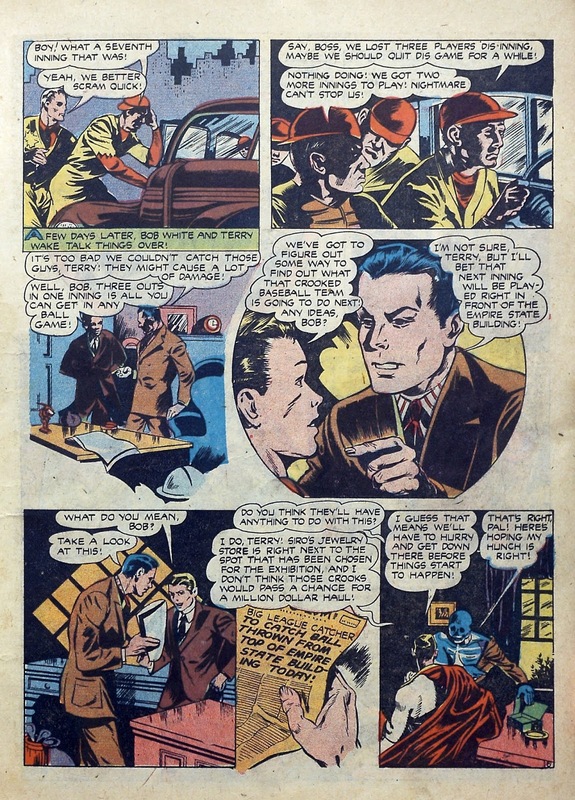 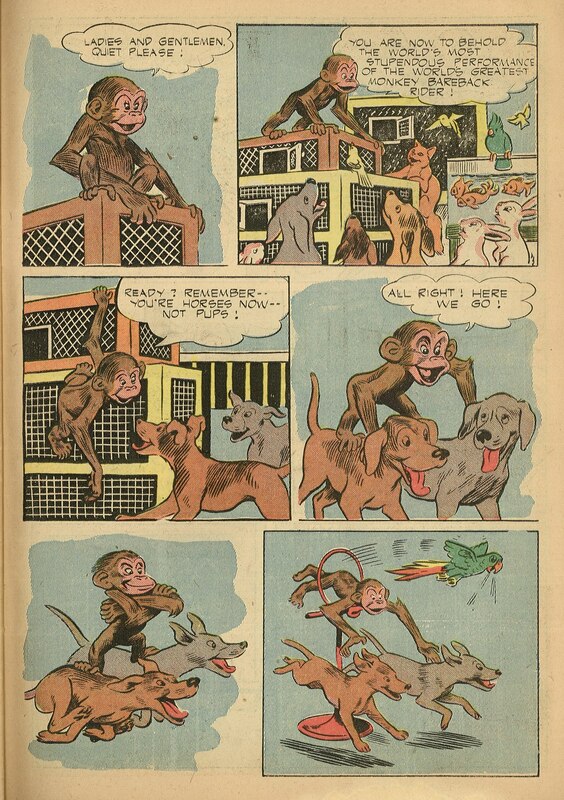 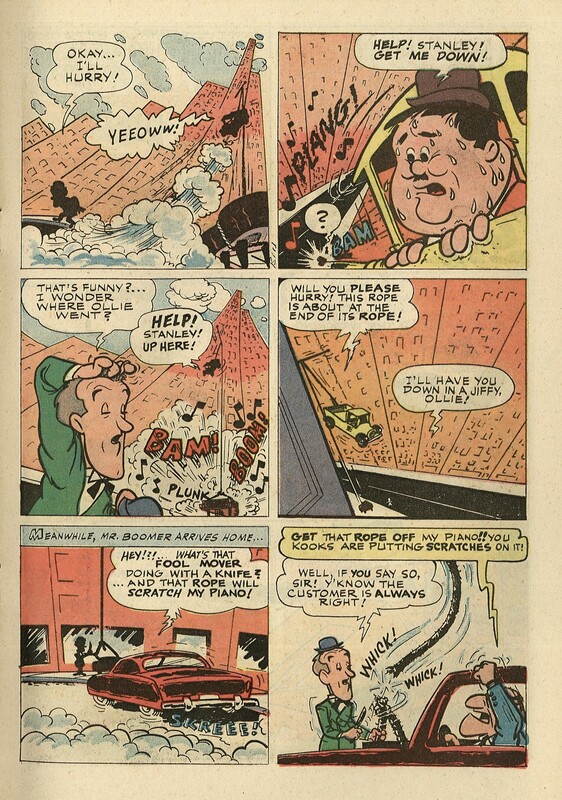 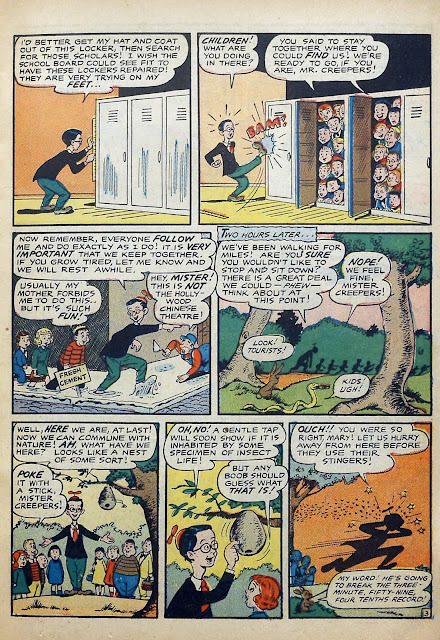 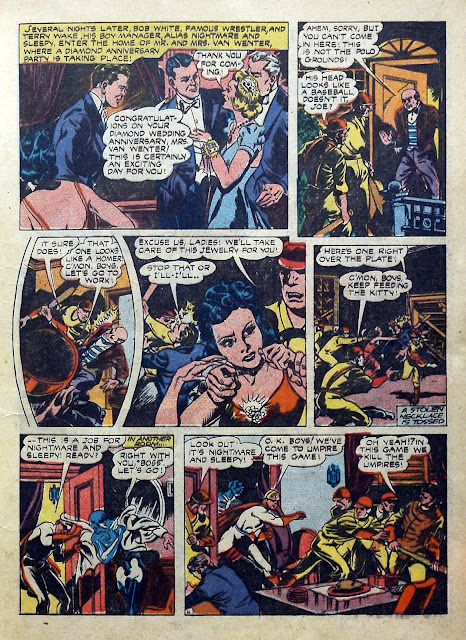 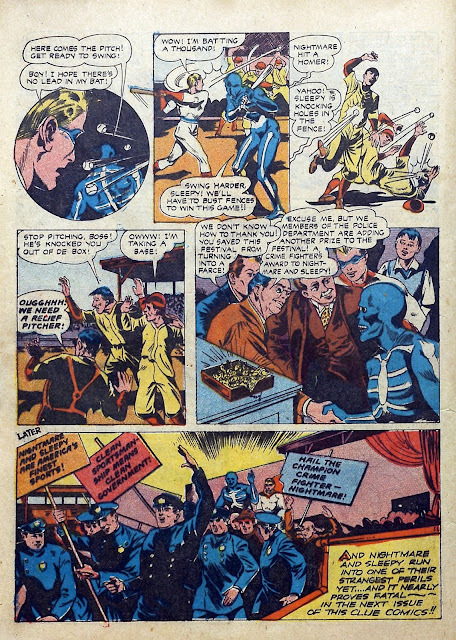 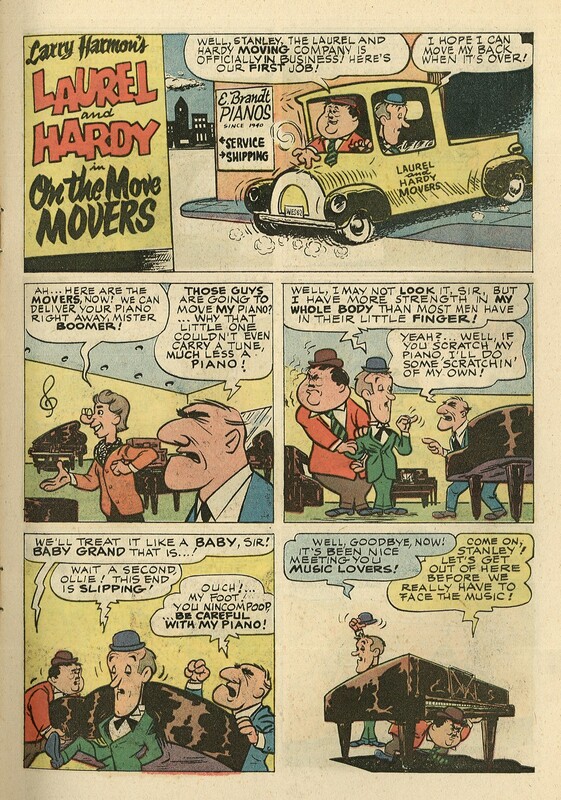 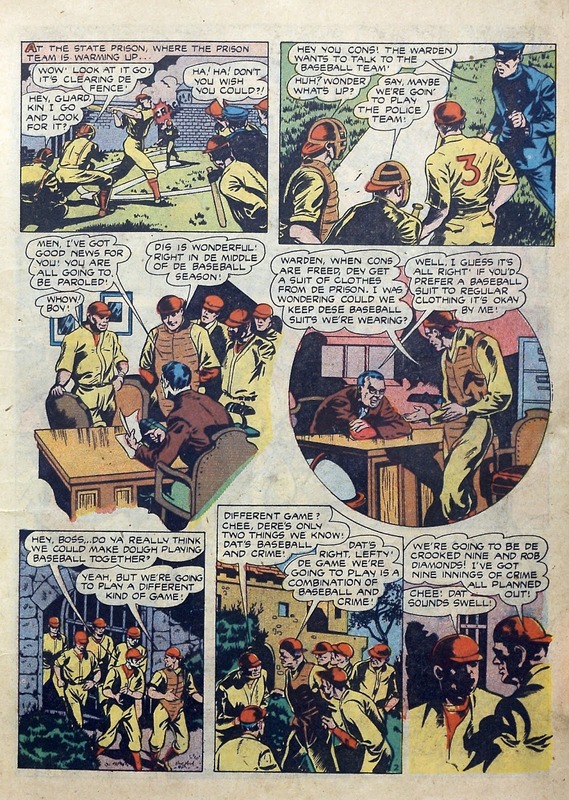 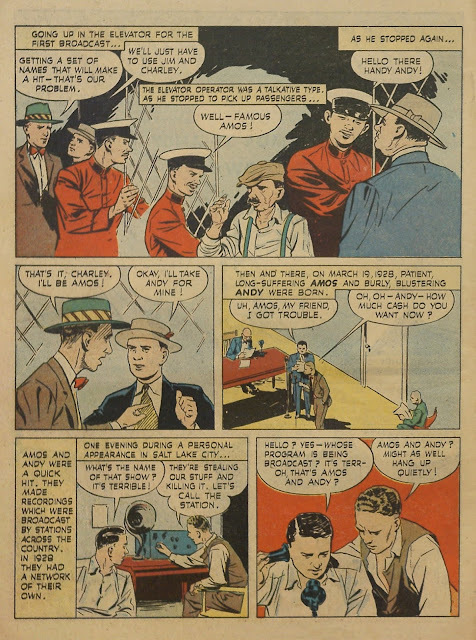 With only 3 background depictions of African-American characters, and none of actual African-American actors, this 4 page retelling of the Amos 'n' Andy story manages to sidestep the elephant in the room, get the title wrong ("n" instead of "and"), and even miscredits the two stars in the next to last panel. 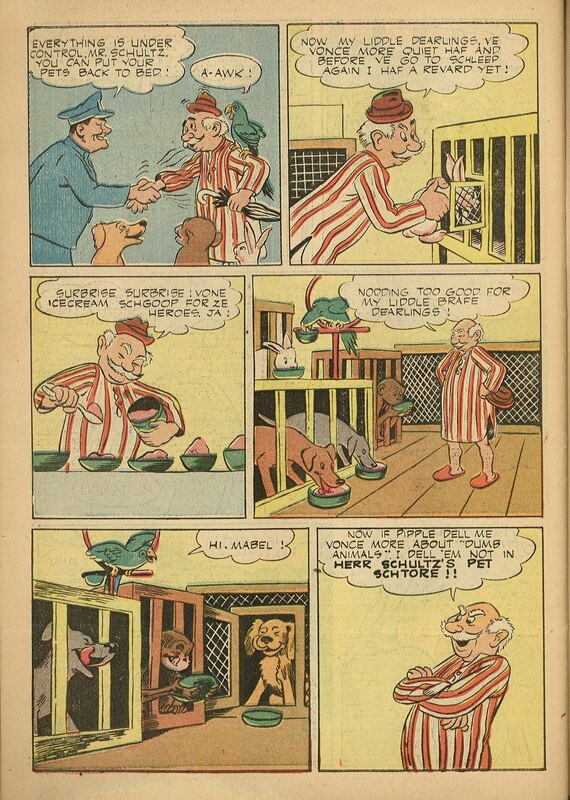 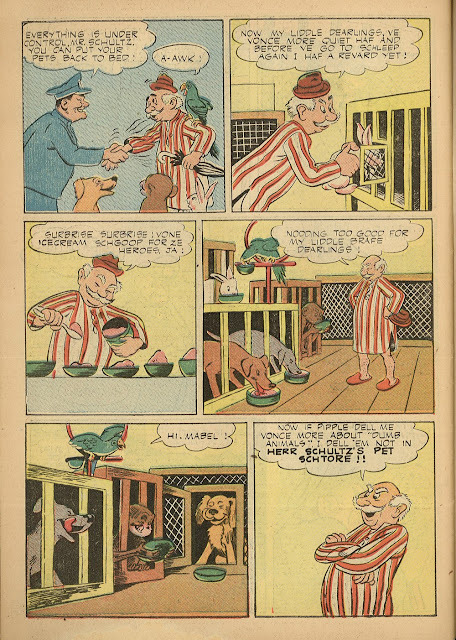 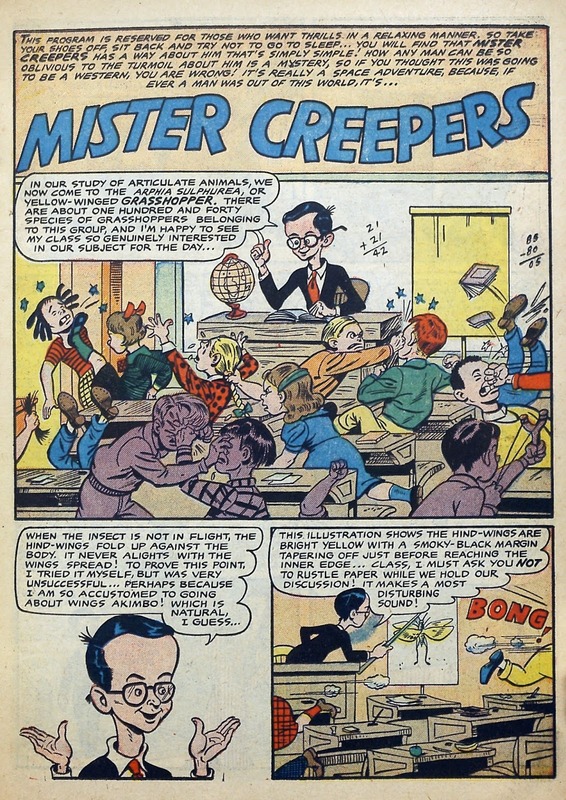 It was before my time but MR. PEEPERS was a popular 1950s sitcom that starred Wally Cox, perhaps best remembered as the later voice of Underdog! Recently I finally got to see an episode when one turned up on Youtube and now today I run across this contemporary MAD-style parody of it! 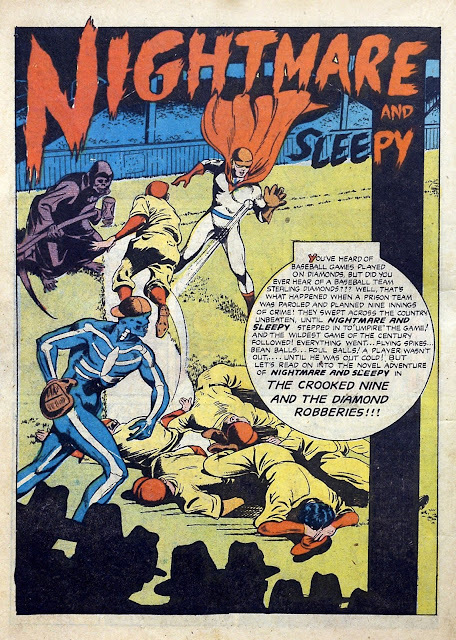 I haven't been sleeping very well lately and that always reminds me of these guys. 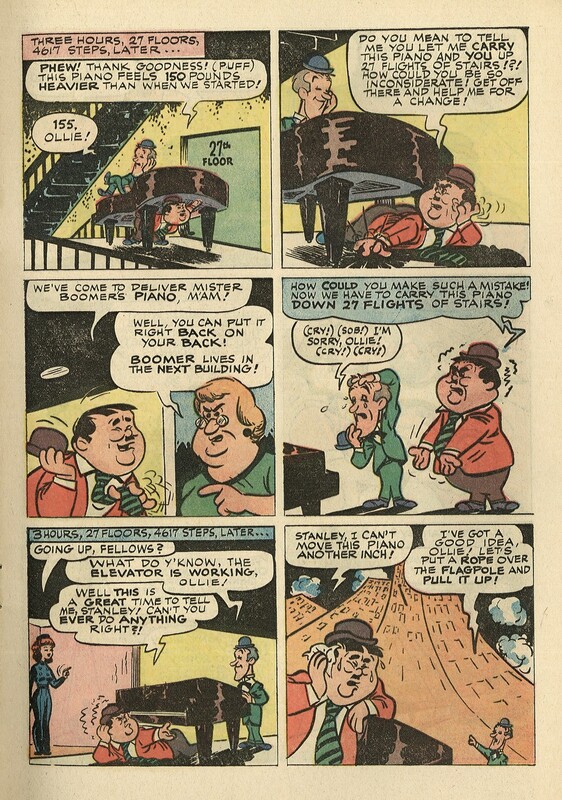 As a L&H fan for as long as I can remember, I look forward to the forthcoming STAN AND OLLIE movie. 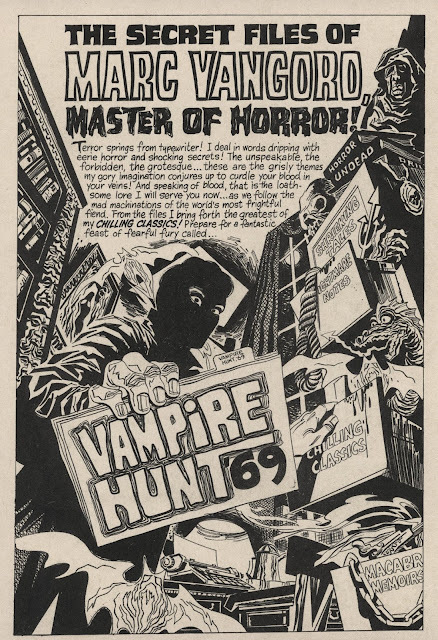 I'll probably wait 'til it's available for home viewing as I can neither afford nor rationalize going to a theater anymore. Hoping it introduces a whole new generation to the Boys. 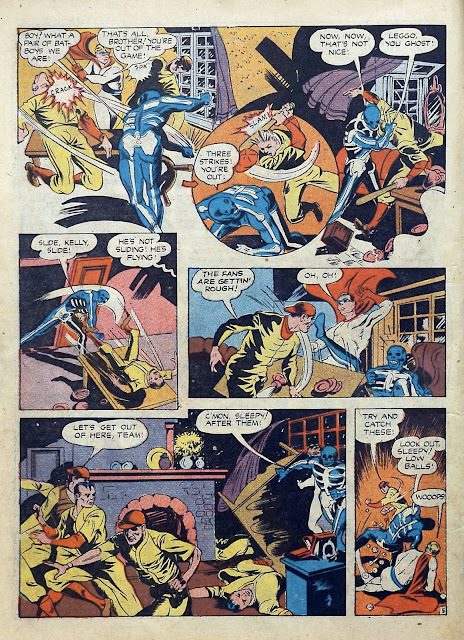 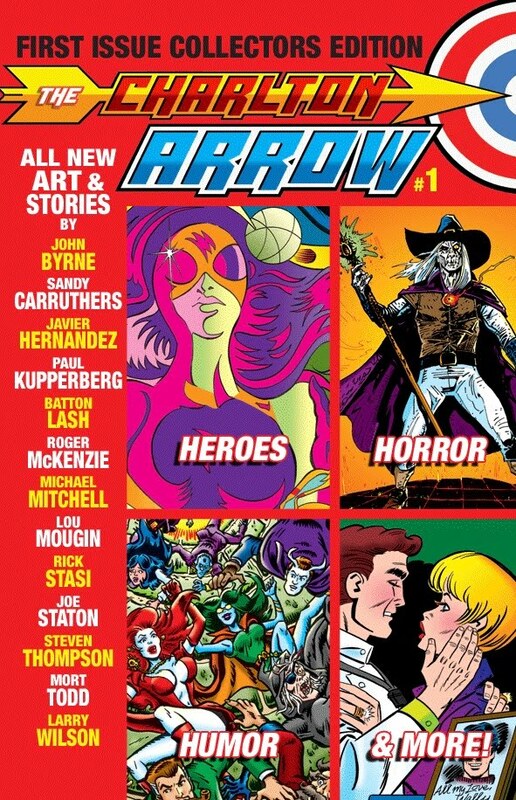 Interesting to note that the new movie--like this nearly 60 year old comic book--still had to be licensed from Larry Harmon Productions. 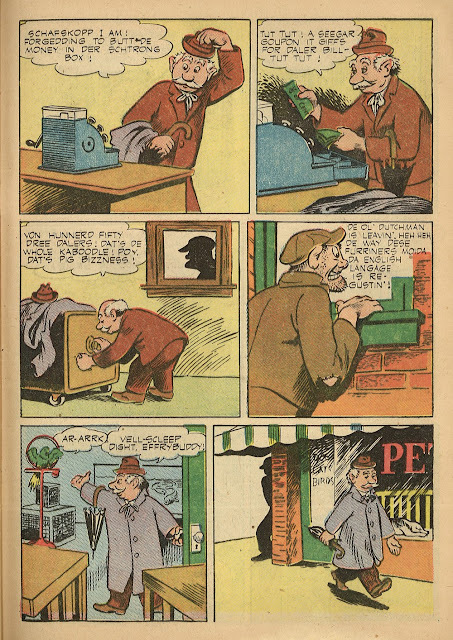 What a deal that guy must have made back in '61! It's funny how tastes change. 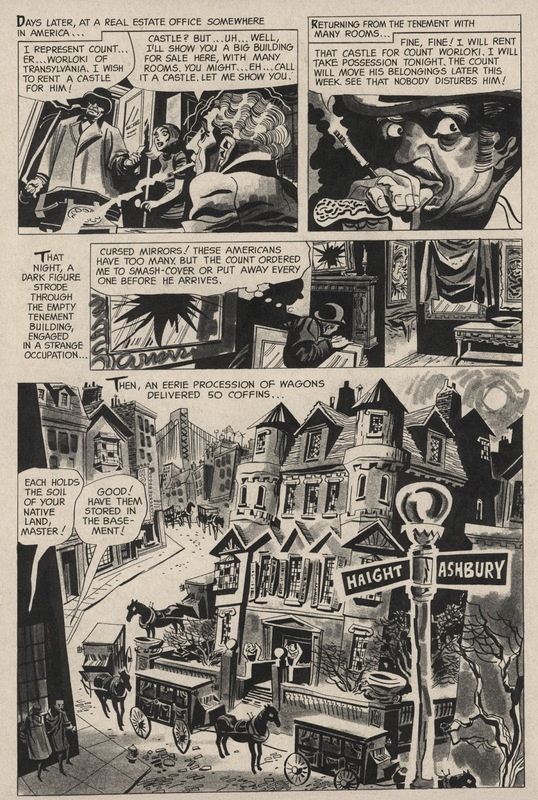 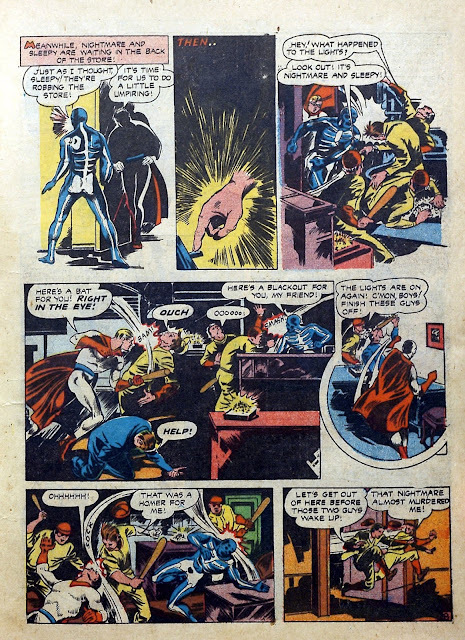 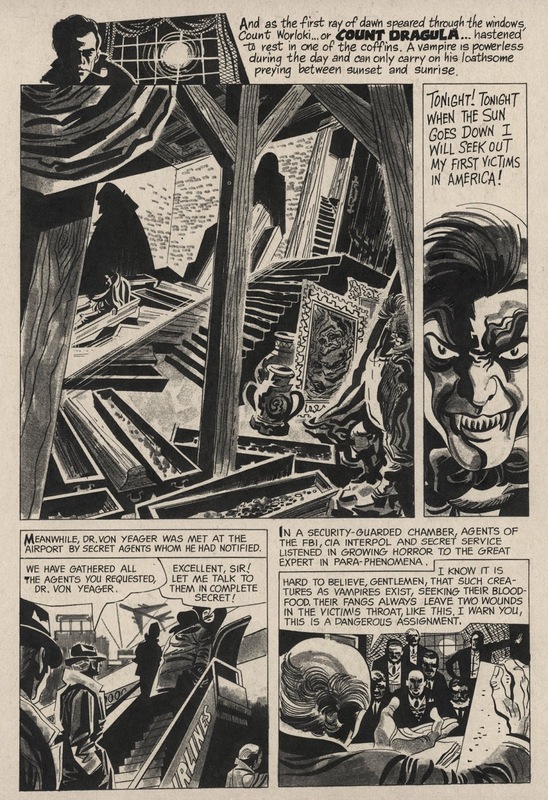 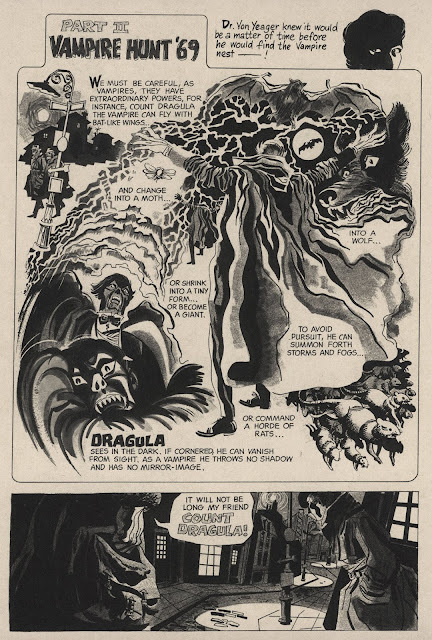 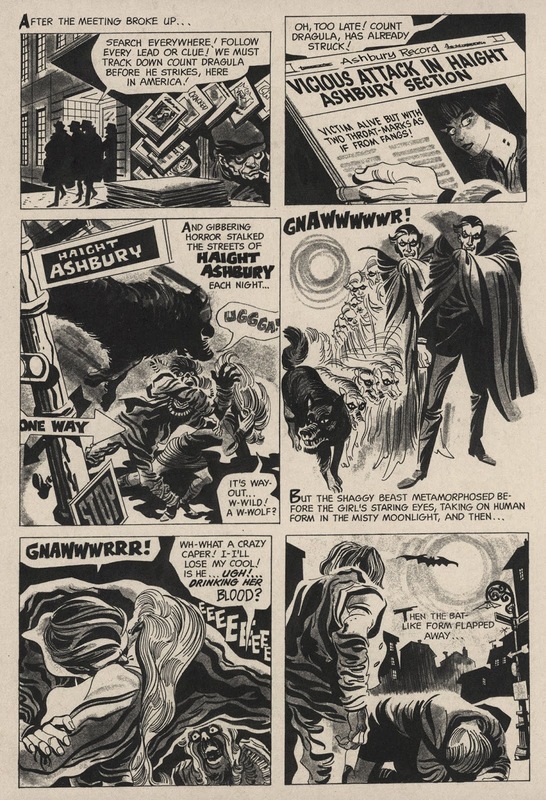 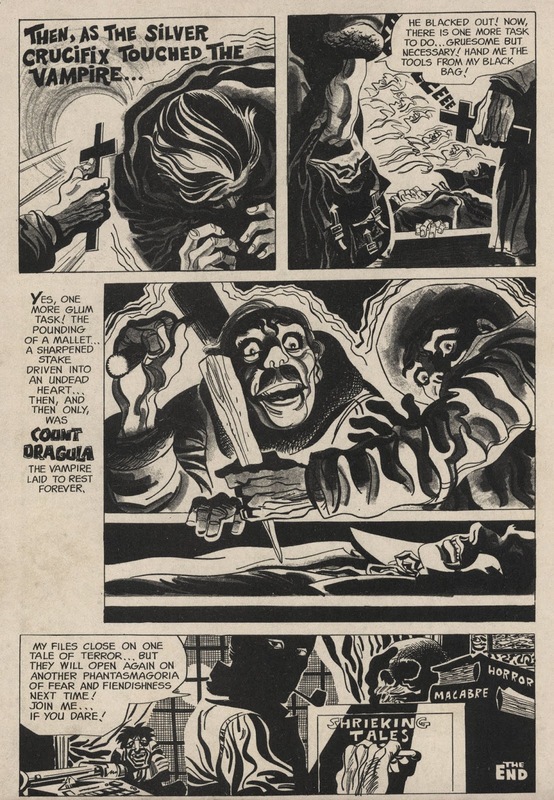 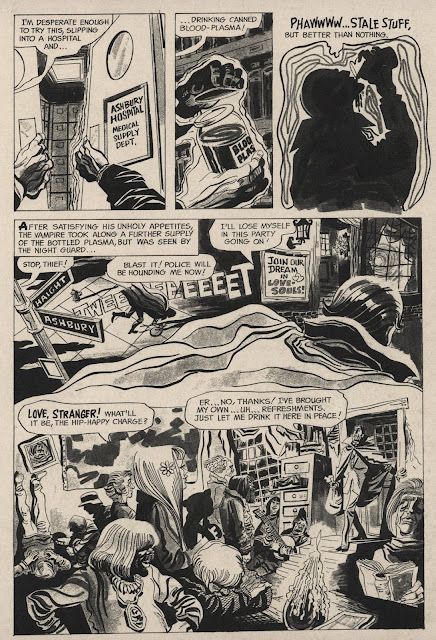 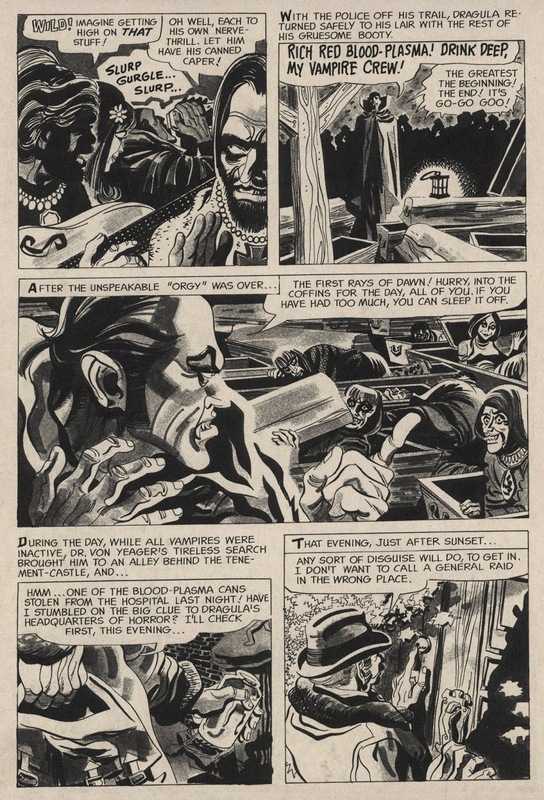 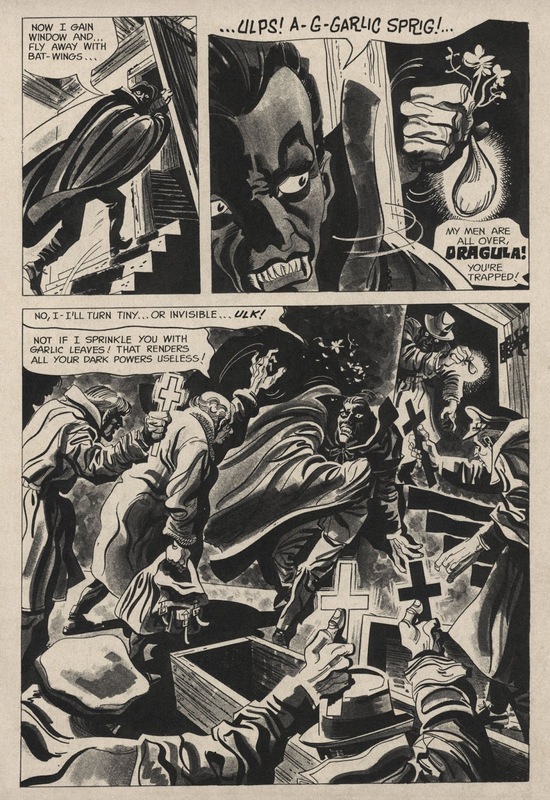 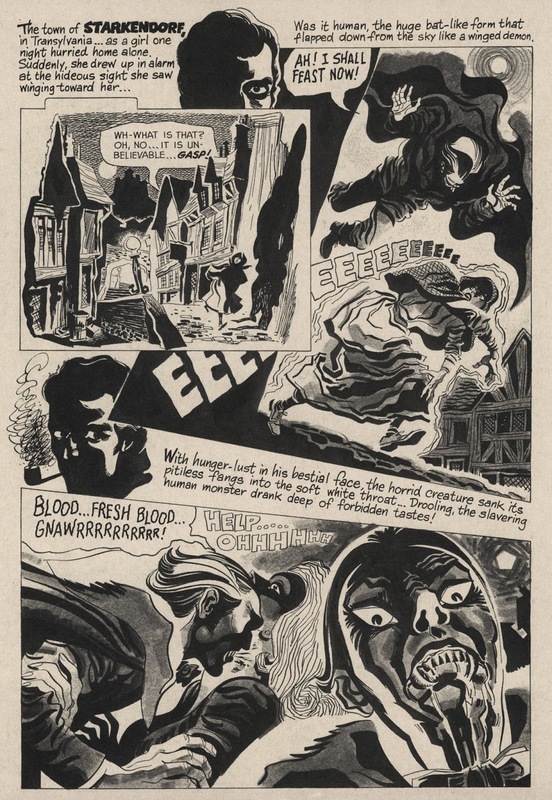 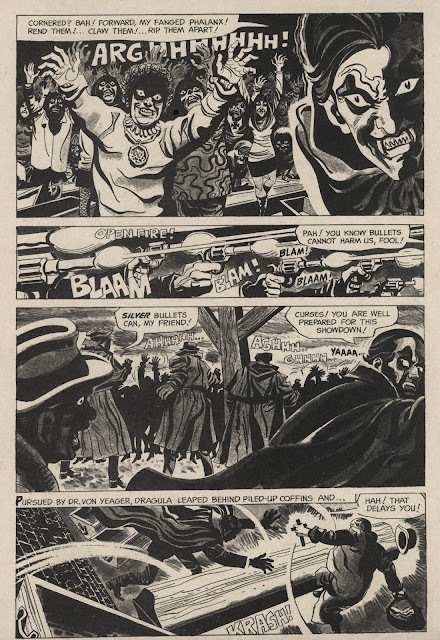 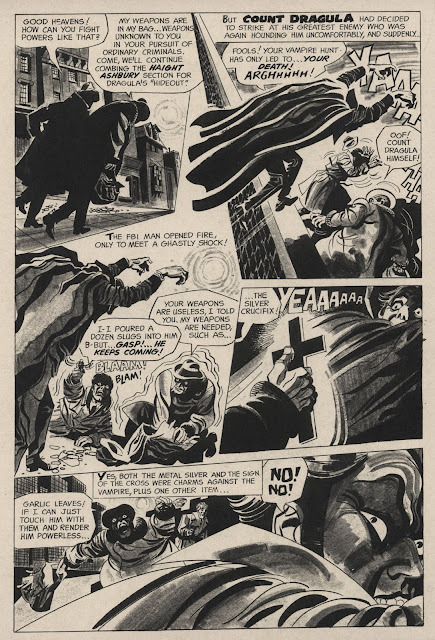 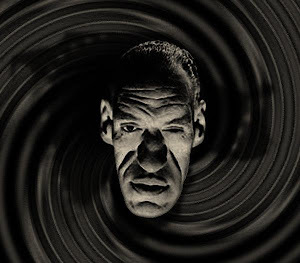 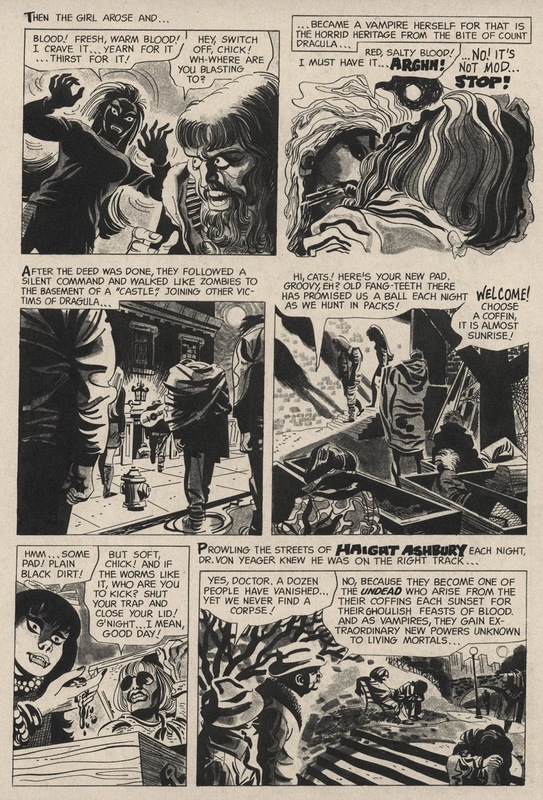 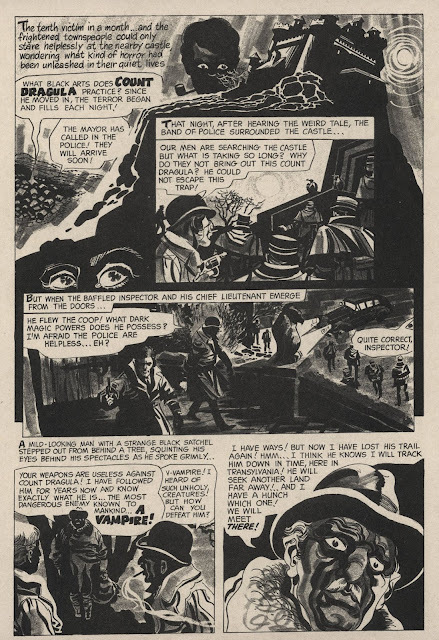 As a youngster, I really had a strong dislike for the increasingly odd artwork of Jerry Grandenetti who popped up at DC on the Spectre, Nightmaster, and various war and mystery stories. 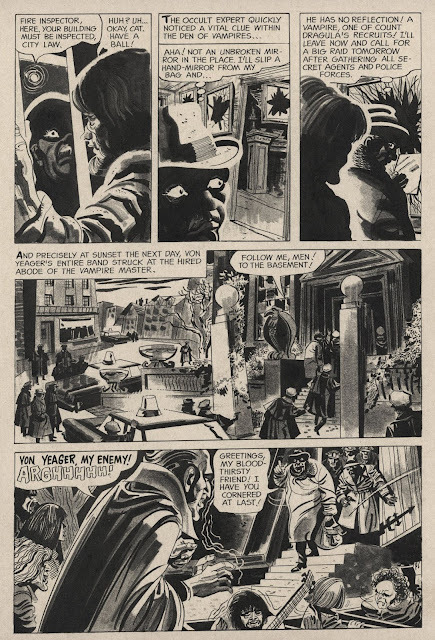 Now I find his work stylish and am always glad to see it. 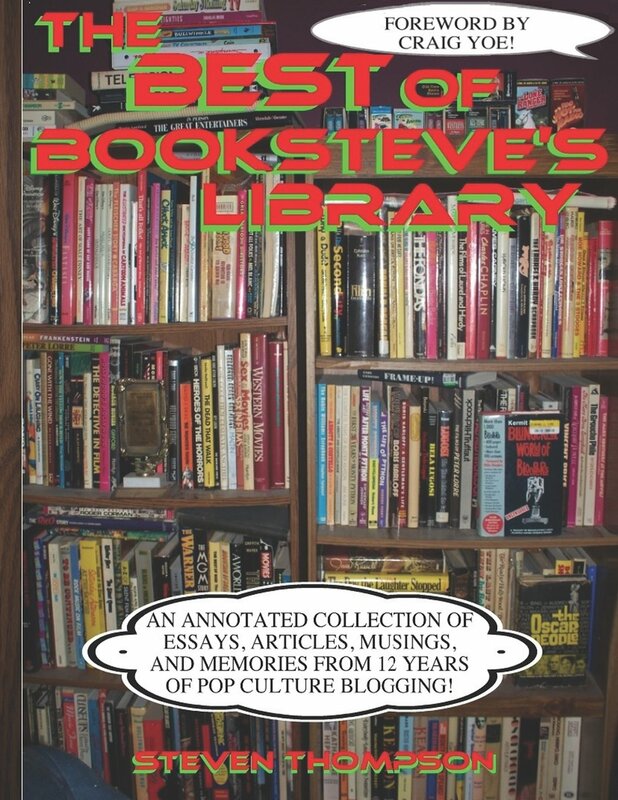 This one is written by the great Otto Binder.